A marketing strategy does not stand on one or two strategies; it must be strategically aligned. So, what does that mean? One of the big mistakes I see entrepreneurs doing is that they market for the sake of marketing. Their intentions are good but they are missing the fundamentals, and they are focusing on the wrong outcomes. 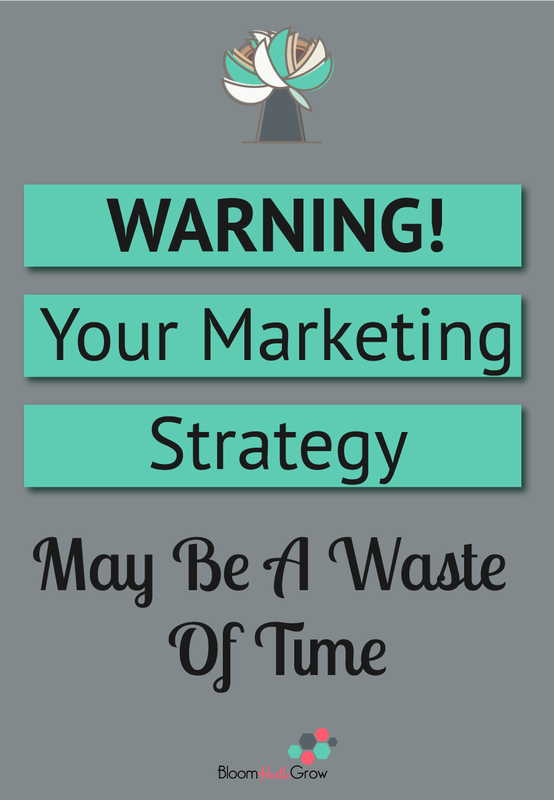 Is your marketing strategy strategic? For example, you are spending a lot of time on trying to grow your Instagram presence; you spend hours on curating pictures, on scheduling posts and following other people all in an attempt to get your follower count up. But for what end? You should never be using a social media channel to simple grow followers as a business owner; you should be using that channel to drive people to a destination. Another example is producing tons of content, but never promoting that content. You can’t just hit publish and walk away. You have to have a plan on how to get that content out to your audience. You should be promoting more than you are creating when it comes to content. If you can’t find time to promote you need to cut your publishing schedule. And if you aren’t repurposing your content you are not only wasting time but you are also missing out on reaching more people with your content. Many business owners feel overwhelmed with marketing because they aren’t approaching it strategically, they see it as individual ways to market their business when in reality a marketing strategy is making all the channel work towards a single goal. Marketing strategies are a way to drive people to your business, like engines. Is your marketing strategy driving you in the right direction? Now imagine your business as train, it’s all connected, your business is the train, your marketing strategies are the cars, now imagine that all those cars had their own engine and they were trying to pull the train in their own directions. It would be one heck of a mess, and you would end up getting nowhere. Well, that is what happens when you don’t have your marketing strategies working together. That’s why it’s so important to have a clear direction that drives your marketing strategy and for all the cars to be hooked together and driving in the same direction. All of these pieces should be telling the same story and driving towards the same destination. Marketing is very complicated on a detailed level (like optimizing your Instagram strategy or figuring out Facebook ads) but starting with a basic solid structure gives you a simple way to optimize and dive into those details while still making progress. Want help establishing a focused marketing strategy? I’ve got you covered! Sign-up below and get your Simplified Marketing Plan started.